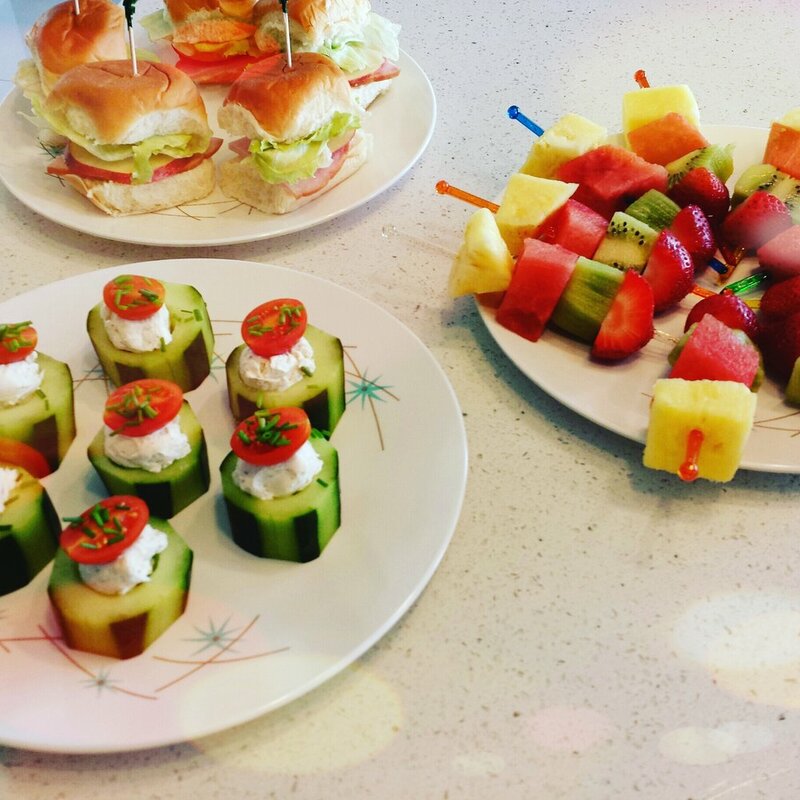 Our catering goal is to fill the niche between picking some platters up at Costco yourself or the other extreme of hiring a catering company that costs and provides way more than you need. We will provide you with delicious and creative food that you can pickup yourself or we can deliver for a small charge. The fresh and affordable choice for your next meeting, event, or gathering. Our catering menu is not limited to our restaurant menu. We will work with you to find items that best fit your next event and budget. Our delicious sandwiches are made with locally baked bread delivered to us the morning it was baked. Party Subs can be made with an assortment of meats or vegetarian with options like fresh roasted tomatoes & green chili, and marinated artichoke hearts in addition to all the regular veggies. Delivered whole or pre-cut into 25-30 portions. Includes a whole sandwich, chips, fruit cup, cookie, and napkins. We have many sandwich choices including turkey, roast beef, ham, pulled pork, and pastrami. Half sandwich, chips, fruit cup, and napkins. Water is optional in sandwich boxes.